I’m so excited to present the first ever guest on Spanish Sabores, another Americana in Madrid. Erin writes about her travels around Europe and her exciting life in Spain’s capital at La Tortuga Viajera. She loves food and travel just as much as I do, as evidenced by her gorgeous pictures of delicious plates all around the world. Hot sticky summers, a sangria in hand, and a big bowl of gazpacho. Sounds like Spanish paradise, right? Sure, except that when surprisingly cold winter months roll around, that zesty Iberian lifestyle flips like a Spanish tortilla. The party moves inside and summer food favorites get put away for the season like bikinis and beach towels. That’s OK, though, because when Spain breaks out its winter coats and boots, it also starts serving up treats that will both warm and fill your traveling tummies. 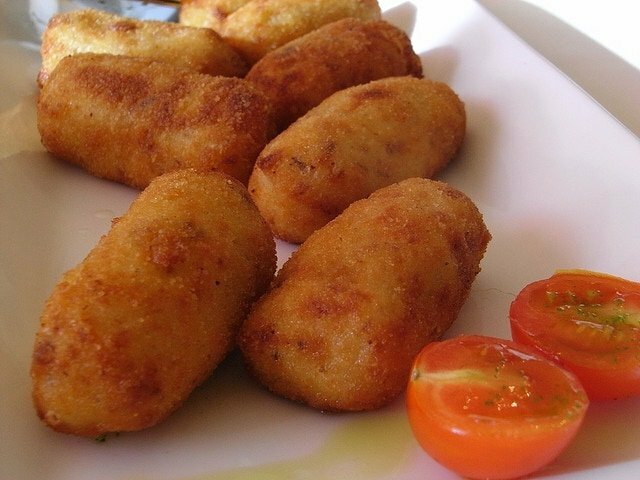 Here, a few of Spain’s holiday food favorites. 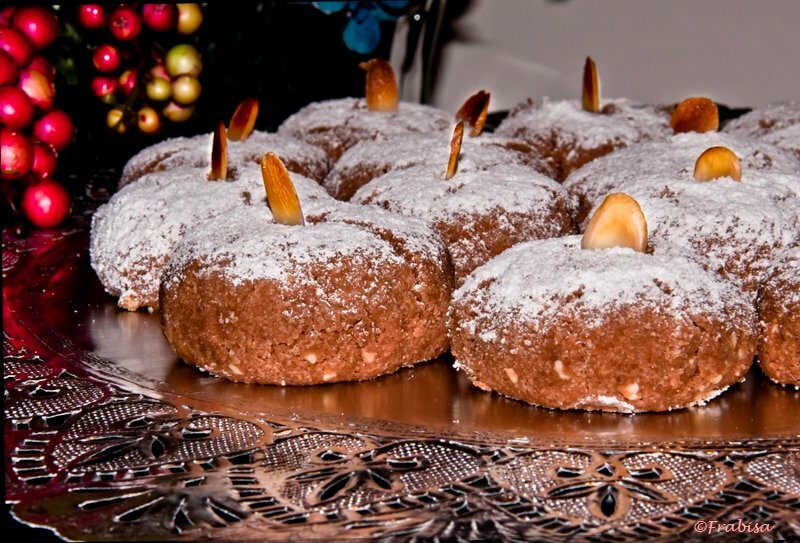 Dessert doesn’t get more Christmas-y than this festive pastry, typically served on Three Kings Day (January 6th). A ring-shaped sweetbread, it’s topped with gelatinous fruits and a sprinkle of sliced almonds. Oftentimes, it’s even sliced right through the middle bagel-style, and filled with a healthy helping of fluffy cream. That’s all fine and well, but there’s one more thing that makes this seasonal dessert extra special: the glass figurine hiding somewhere inside. When it comes to the lucky winner, the traditions, like the trinket, vary: from being crowned king for the day to the simple declaration of good luck for the year to come. At the end of the day, just be sure to chew carefully. And if you’re not in the mood to down an entire ring of roscón, no problem. Many bakeries serve it up by the slice! 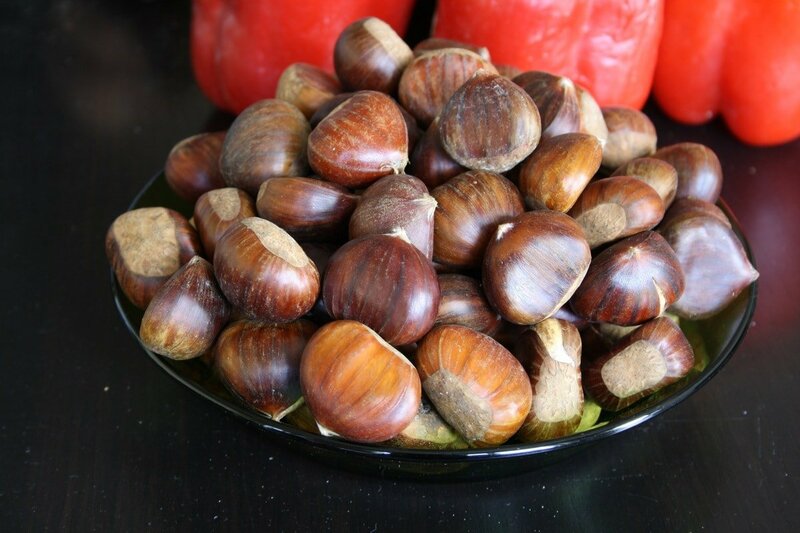 When the prickly Spanish air starts to bite at your fingers, warm them up with a handful of freshly roasted chestnuts (castañas). Sold at stands throughout most larger towns and cities, the holiday nuts come in paper cones, usually eight per serving. With your near-numb fingers, you must peel away the flaky shell, then the hairy inner lining, before tackling the real treasure: a soft, dense and sweet nut. Taking on a new Spanish city during colder months will reach new levels of awesome while noshing on these famous winter snacks. No matter when you visit, no trip to Spain would be complete without at least one generous sampling of chocolate and churros. While the treat can be found in churrerías throughout the year, when temperatures drop, mobile shops pop up in plazas, parks and on street corners. 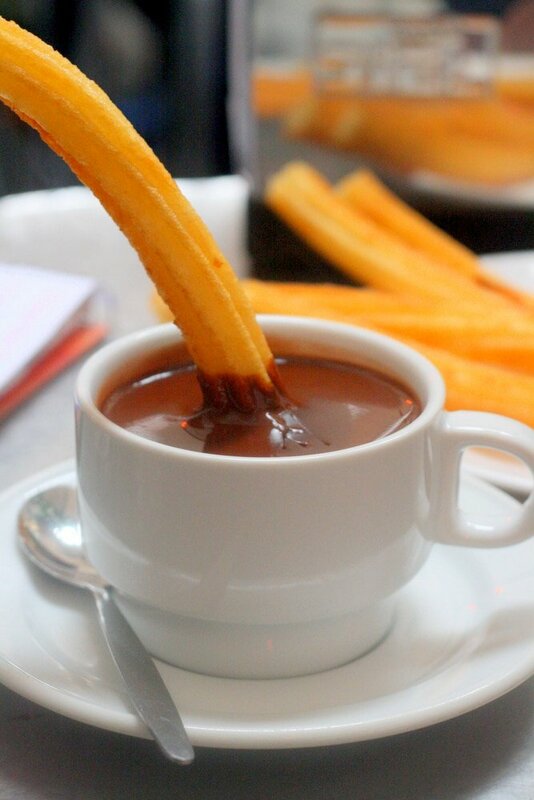 Indulge in a steamy cup of thick chocolate, dipping the thin, drop-shaped churros into the hot concoction. 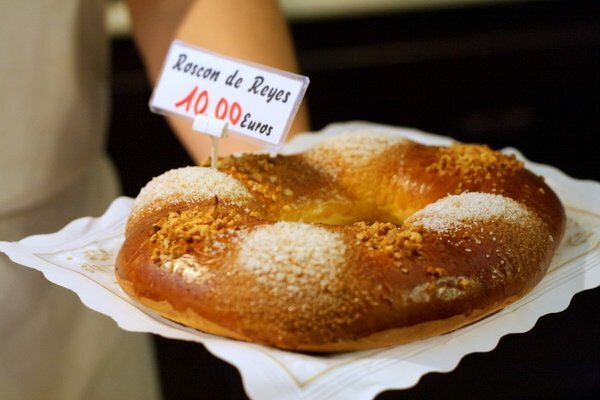 Or, to really embrace holiday tradition, dip a slice of that roscón in the sweet stuff – it’s a rough task, but in the name of making like a Spaniard, it must be done. Many a Spanish holiday meal is finished off with a platter of shattered turrón, and wax-paper wrapped polvorones. Purchased in brick-shaped form, turrón most famously comes in two almond-based versions. The first – called turrón blando (soft) – is creamy, and almost reminiscent of a sweet-but-hard peanut butter. Then the other – called turrón duro – claims tooth-breaking potential with its rock-like consistency and mixture of full almonds. These days, you can find boxed bricks of all sorts claiming to be turrón of some flavor or another, but the truly traditional Spanish versions are those two extra almond-y originals. Once you’ve moved on from turrón, it’s time to try polvorones – essentially a powdery mish-mash of flour, animal fat, sugar and cinnamon, all served in a cookie-meets-biscuit form. Before eating, Spaniards typically smash them, still wrapped, in their palms to loosen up the consistency. 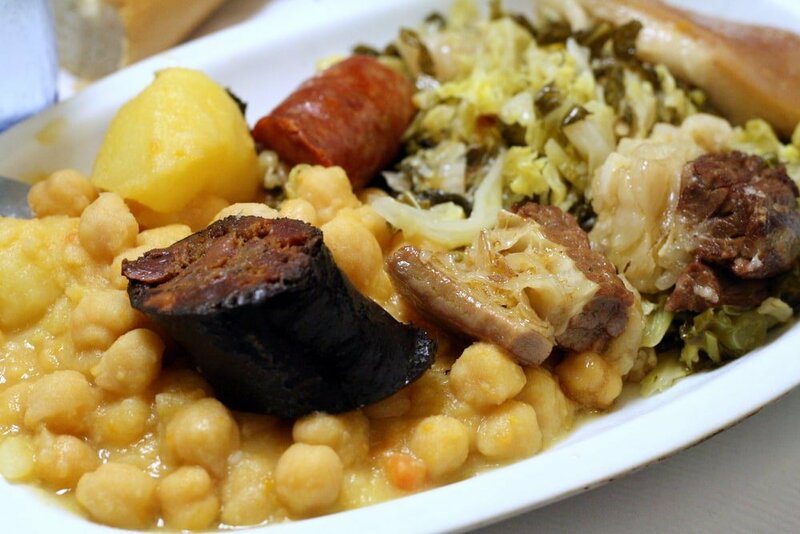 After tackling the bitter cold streets, sometimes a sweet snack just won’t do; in which case, it’s time for some cocido. 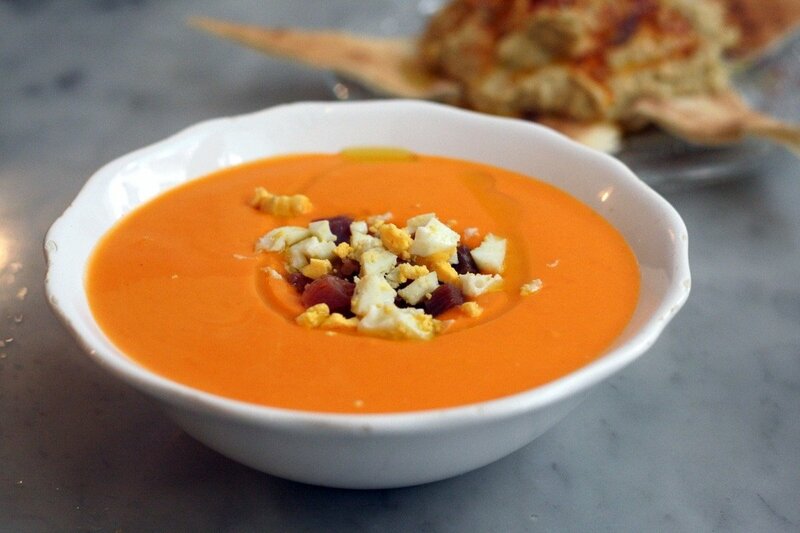 This hearty soup is Spain’s answer to an empty stomach and the shivers…and also hangovers. While many variations exist throughout the nation, the most well-known can be found in Madrid. The stew typically gets served up in two parts: First you warm up by nursing a broth filled with small noodles and flavors of the second course to come. Following the broth, really tackle your hunger with an overflowing plate of garbanzo beans, stewed veggies and meats like chorizo and morcilla. For one of Spain’s most traditional versions, stop by La Bola in Madrid (Calle de la Bola 5); you won’t leave cold and you definitely won’t leave hungry. When visiting Spain during this chilly half of the year, swap out the sangria for some of these seasonal and soul-soothing favorites. And now that we’ve got holiday cuisine on the brain, tell me: what winter foods get you in the spirit? If reading about these holiday foods in Spain has made you hungry, check out my guest post on Erin’s blog where I tell readers about the 5 Food Gifts to Bring Back from Spain! Yum…but I like torrijas the best. In Seville Torrijas were for Semana Santa above all– they are delicious though! Stay tuned for a recipe in the near future! A friend of mine who is from Madrid says that a classic local tradition is to take the family to the Chocolatería San Ginés (about a block north of Plaza Mayor) for chocolate con churros during the holiday season. It must be true, because when I went there with my mom a couple of years ago the week after Christmas it was incredibly busy. It definitely hits the spot when the weather’s cold! Writing this post was brutal – I was in the States and desperately wanted some chocolate and churros in my tummy for inspiration! Just when I think I can’t eat anymore, I read your article and know I have a lot left to snarf down.. Ok, I have until January 2, right?